And now, the damage done by military drills and rehearsals in a Highland forest has had the unexpected consequence of making it a home of an extremely rare lichen. Loch Arkaig has been named as one of only three sites in the world for a “fire” lichen. Scientists working at the loch, also the location for a sequence in Harry Potter and the Deathly Hallows, have discovered the rare carbonicola anthracophila lichen growing on the stumps of two trees destroyed by flames during military training. The lichen only grows on charred conifer trees and has been recorded at just three other locations in the UK: Glen Affric and Glen Strathfarrar, both near Cannich and Glen Quoich near Braemar. 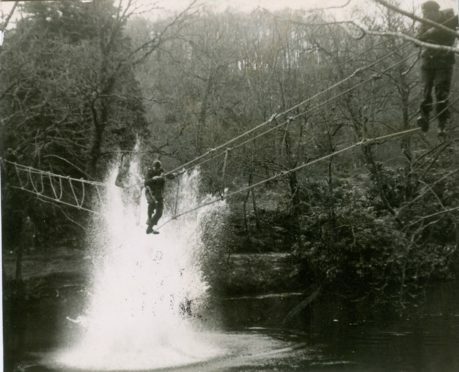 Commandos training in the forest. 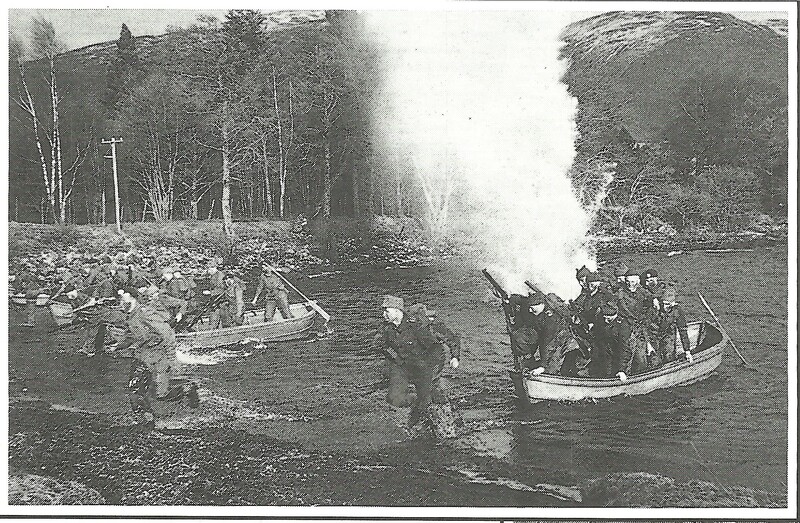 During exercises with live ammunition in 1942 forest fire raged across the hillside. 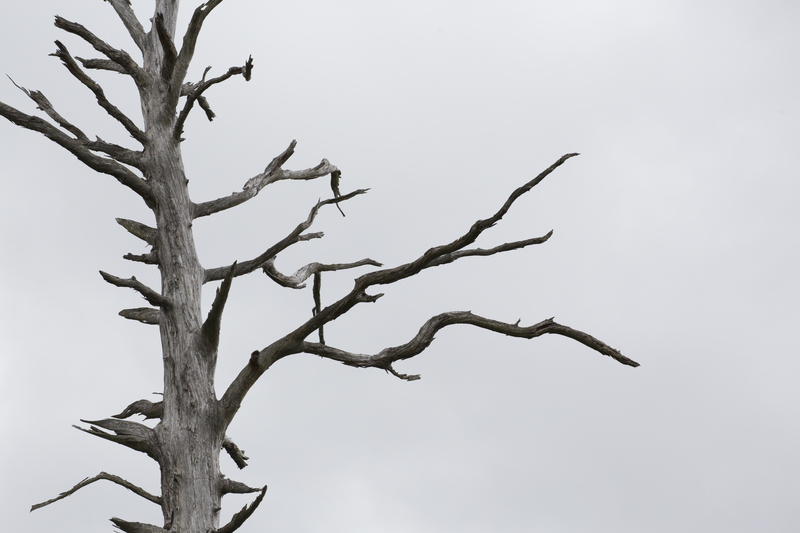 Scots pines cooked in their own resin were preserved and still stand like ghost trees across the hillside. Seventy-seven years on the “fire” lichen is a living legacy of that blaze. The lichen survey was commissioned from experts Andy Acton and Brian Coppins to help inform long term conservation management at the site. Mr Acton said: “It was the first time I had seen this particular species so it was particularly exciting for me, but Brian referred to it as a ‘mega tick’ so he was clearly excited too. In the Harry Potter film, Harry, Hermione and Ron cling to a dragon as it flies above the forest before jumping off into the Loch below. Filming on the shore is thought to have been cut short because the midges were too fierce.